My Nottingham friend Stewart alerted me to a BBC News item about “Nottingham’s ‘secret’ railway tunnel”: https://www.bbc.co.uk/news/av/uk-england-nottinghamshire-45902996/inside-nottingham-s-secret-railway-tunnel. The “secret” tunnel is accessible – if you have the key to the right door – from the basement of Nottingham’s Victoria Centre, which is built on the site of the old Victoria Station, opened in 1900, closed in 1967 and quickly demolished. This was Weekday Cross Tunnel (418 yards), stretching from the south end of the former Victoria Station towards Weekday Cross Junction, where nowadays the NET tram leaves its viaduct to run along the street towards the Lace Market. The tunnel was used to carry pipework for the Victoria Centre’s heating system, and the track-bed to the south was later blocked by the Centre for Contemporary Art Nottingham art gallery, now Nottingham Contemporary (opened 2009). In fact, the BBC’s “secret” tunnel isn’t even half of the story. Beyond the Victoria Station site, the railway line headed northwards into Mansfield Road Tunnel (1,189 yards) which runs almost directly beneath Mansfield Road, emerging eventually just past the road-junction with Gregory Boulevard: https://www.28dayslater.co.uk/threads/mansfield-road-tunnel-nottingham-may13.80919. Here in an open cutting stood Carrington Station [http://www.disused-stations.org.uk/c/carrington/index.shtml], opened in 1899 and closed as early as 1928, a commuter station that stood no chance against the competition of Nottingham’s trams. Carrington Station cutting has been completely filled in and built over as part of an Open University campus, and the street-level building, for years occupied by Alldogs Poodle Parlour, has gone. North of Carrington Station the railway ran into Sherwood Rise Tunnel (665 yards) [https://www.geograph.org.uk/photo/2388076] which is blocked by further landfill at the north portal. Until the mid-1960s these three tunnels, all of which remain intact, were a practical direct route under Nottingham city-centre. When Victoria Station was demolished there was apparently talk of leaving a right of way beneath the shopping centre, but in the event the basement car-park was built the full width of the station’s footprint. (It was not unknown for 1960s/1970s shopping centres to include provision for underground rail transport [http://www.mikehigginbottominterestingtimes.co.uk/?p=2274]). The blocking of the railway track-bed at three locations, successively in the 1960s, late 1980s and late 2000s, means that a direct route, wide and high enough for a double-track railway and therefore feasible as a light railway if not a roadway, lies utterly unusable beneath the congested streets. At the time of the Beeching cuts, planners and railway managers clearly believed that the Victorian infrastructure they inherited would never be needed again. It’s a matter of opinion whether this amounted to naivety, stupidity or arrogance. They left future generations a legacy across Britain of miles of derelict strips of land that could have been adapted to transport uses undreamed of in the 1960s, if snippets hadn’t been handed over for buildings that could easily have been located elsewhere. This entry was posted in Nottingham's Heritage, Transports of Delight, Waterways & Railways of the East Midlands on December 11, 2018 by Mike Higginbottom. The Great Central Railway (Loughborough) has a long and fortunate history since it was formed as the Main Line Project Group in 1970. Through many struggles against all manner of setbacks, volunteers have maintained and expanded their train services and recreated much of the infrastructure of the old Great Central. It’s fair to say, without disparagement, that their colleagues at the Great Central Railway (Nottingham) have more challenges to face. Their line, north of Loughborough, didn’t become available until the 1990s, by which time the buildings on the only original station, East Leake, had been demolished, though track remained because of British Gypsum and Ministry of Defence freight traffic. Initial preservation work concentrated on creating a branch and terminus, Ruddington Fields, on the former MoD site, which became the Nottingham Transport Heritage Centre. This is currently the centre of activity, with plenty for transport enthusiasts to enjoy. Train services run out of Ruddington Fields on to the former main line, reverse at Fifty Steps Bridge and run down the old GCR to a stop-board about a mile from the other preserved Great Central Railway at Loughborough Central. It’s refreshing to be able to travel on a stretch of the old Great Central, but for the moment it’s also a frustrating experience because of the Gap that was severed in the 1970s. Though the bridge across the Midland Main Line has been reinstated, there’s still a canal bridge to refurbish and a 300-metre stretch of embankment to rebuild before the GCR (Loughborough)’s depot can be swept out of the way and trains can run uninterruptedly eighteen miles from Ruddington to Leicester: https://www.youtube.com/watch?v=FvvO9GkjtK0. Indeed, though it can’t be high on the agenda, it seems possible that the line could be reinstated north of Ruddington to the point where the NET tramway occupies the old GCR formation at Clifton Boulevard. This is the work of decades, if not generations, but it’s testimony to the determination and hard work of transport enthusiasts that what was once discarded as useless infrastructure is slowly, doggedly being restored to useful amenity. Hardly anybody would have imagined, when the Great Central main line was wound down in the 1960s that it would ever again carry trains, let alone trams. The Great Central Railway (Nottingham) website is at http://www.gcrn.co.uk and the Great Central Railway (Loughborough) is at http://www.gcrailway.co.uk. Both railways are included in the itinerary of the Waterways & Railways of the East Midlands (September 3rd-7th 2018) tour. For further details please click here. This entry was posted in Transports of Delight, Waterways & Railways of the East Midlands on August 13, 2018 by Mike Higginbottom. The twentieth-century mismanagement of the decline of canals and railways in Britain is most obvious in the planners’ assumption that these moribund routes would never again be needed. Essential road-developments rendered waterways practically useless for lack of foresight. Lengthy routes could have been protected at a fraction of the cost of the reverse solutions now needed to restore canals as environmental assets. The Grantham Canal was built in 1793-1797 to connect the Great North Road and the Vale of Belvoir to the River Trent, giving access to the coal-carrying canals of the Erewash valley and the rich manufacturing towns of the East Midlands. Traffic was never heavy. The highest dividend was paid in 1839, 1841 and 1842 – £13, equivalent to 8.67%, after which traffic fell away. The company was sold in 1854 to the competing Ambergate, Nottingham, Boston & Eastern Junction Railway which promptly leased itself to the Great Northern Railway. The Grantham Canal was formally abandoned in 1936, subject to an agreement to keep the waterway in water for agricultural use. This guaranteed the integrity of the route but not the termini, both of which were destroyed by post-war trunk-road construction. Furthermore 49 out of 69 hump-backed road bridges over the canal were levelled and piped. Local resistance to filling in the canal began in 1963. After the Inland Waterways Association defeated a British Waterways Board attempt to stop maintaining the water supply along the canal the Grantham Canal Society was formed in 1969 to work towards restoring navigation. Slowly but surely, the Society has returned parts of the canal to navigable standard. A railway embankment, constructed to replace a rickety timber bridge over the canal, was cleared away in 1992 as part of a project to restore the top three of the Woolsthorpe flight of locks. Another 2¼-mile section from Hickling Basin to Hose was restored in 1994. The subsequent rebuilding of the piped Casthorpe Bridge in 1995 restored navigation to a 4½-mile stretch of waterway. The ongoing restoration of the bottom locks at Woolsthorpe will extend this section to ten navigable miles. The most serious problem facing the Society is linking the canal with the River Trent. The old alignment is blocked by the modern A52 trunk road and the plan to build a new canal on a different route doesn’t qualify for restoration funding because it’s not a restoration of an existing structure. Yet the Trent Link is strategically crucial to the practical restoration of the whole canal and the economic benefits that would spring from it. The Department of Transport’s flat refusal to pay for a high-level replacement for the piped Mann’s Bridge was perverse, since a short distance away a new high-level bridge crosses the A46 trunk road the canal at Cropwell Locks. Plans for a cycle tunnel under the A1 west of Grantham could provide an opportunity to reach and redevelop the original terminal wharf, which is now a scrapyard. A culvert could have been budgeted and built in the first place. In the post-war boom of road building the possibility that the eighteenth- and nineteenth-century networks of canals and railways might have environmental value was largely ignored. The huge popularity of leisure boating, the demand for marinas and waterside housing, and the economic advantages of bringing tourists to less-frequented parts of rural England are each reproaches to the narrow vision of planners and civil servants. Future generations will salute the determination of canal enthusiasts and local people who saw possibilities in dried-up canals and ruinous wharfs and continue to work year in, year out, to bring the boats back to Grantham and many other places around the UK. A visit to Woolsthorpe Locks is included in the Waterways & Railways of the East Midlands (September 3rd-7th 2018) tour. For further details please click here. This entry was posted in Transports of Delight, Waterways & Railways of the East Midlands on July 28, 2018 by Mike Higginbottom. The Great Northern Junction at Langley Mill, on the Nottinghamshire/Derbyshire border, connects three eighteenth-century canals that were once the arteries of the local coal and iron industry. Once a busy freight facility, it’s now a picturesque marina, renovated by the Erewash Canal & Preservation Trust from the 1970s onwards. As you stand on the bridge, the Erewash Canal runs to the south, flourishing as a leisure waterway which was never completely closed. Ahead to the north is the line of the Cromford Canal, of which the first three miles, including six locks, was obliterated by opencast mining in the 1960s. To the right, the Nottingham Canal ran along the eastern side of the Erewash valley, connecting with the River Trent and the centre of Nottingham. The Nottingham Canal is a wreck. It opened in 1796, to the annoyance of the Erewash Canal proprietors who resented its competition though there was more than enough traffic for both. After the Midland Railway built its Erewash Valley line in 1847 the Nottingham Canal sold out in 1854-55 to the Ambergate, Nottingham & Boston & Eastern Junction Railway & Canal Co, which was in turn leased to the Great Northern Railway in 1861. The Great Northern, which had no interest in canals, built their own railway branch parallel to the canal and the Midland line, in 1878. By the early twentieth century most of the traffic on the Nottingham Canal was between Nottingham and the River Trent. Commercial traffic practically ended in 1928, and the GNR’s successor, the London & North Eastern Railway, leased the section between Nottingham and Lenton to the Trent Navigation in 1936 before abandoning the rest of the canal the following year. Nottingham Corporation bought the length of abandoned canal within the city boundary in 1952 in order to drain and pipe the line to prevent flooding. Between 1955 and 1966 most of the canal within the city disappeared and much has since been built over apart from a section used as a diversion for the River Leen. A Nottingham Canal Society was formed in 1976 to conserve the remains of the canal. After making some practical efforts the Society admitted defeat when Nottinghamshire County Council declined in 1979 to fund a navigable under-bridge as part of its plans for the Awsworth By-Pass. 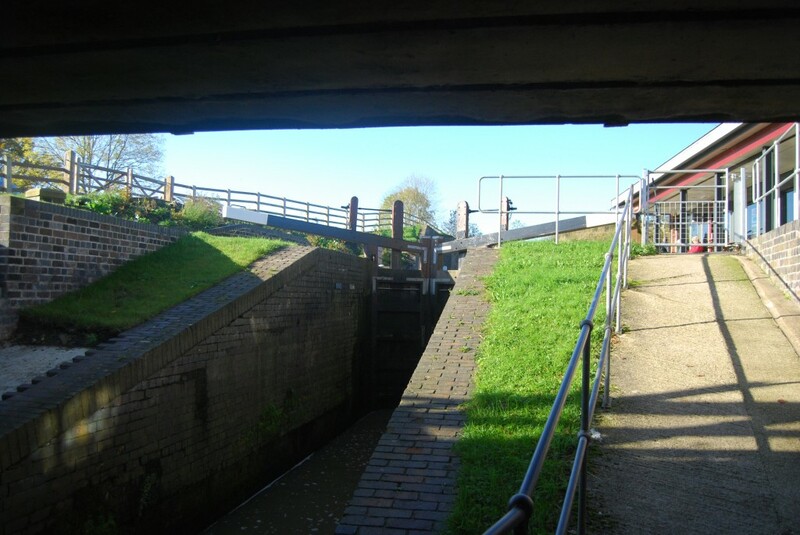 Broxtowe District Council bought six miles of the canal from Eastwood to the city boundary at Bramcote and has worked with voluntary and professional organisations to develop its amenity value as a right of way and nature reserve. When you walk out of Nottingham railway station and turn towards town you cross a bridge over the waters of the remaining length of the Nottingham Canal, a much-used amenity for boaters and gongoozlers alike. The hopes of reviving the rest of this canal, which ran through populous suburbs and rural farmland, were dashed for the sake of a short-sighted decision over the cost of a bridge. The Waterways & Railways of the East Midlands (September 3rd-7th 2018) tour is based in Nottingham and includes a visit to the Great Northern Basin. For further details please click here. This entry was posted in Transports of Delight, Waterways & Railways of the East Midlands on July 12, 2018 by Mike Higginbottom. The Derby Canal promises to be an unlikely triumph of canal restoration, though it may take decades to accomplish. The canal was built at the height of Canal Mania, between 1793 and 1796, engineered by the young Benjamin Outram (1764-1805), who had worked with William Jessop (1745-1814) on the Cromford Canal (completed 1794). There were three branches, each connecting with the River Derwent in the centre of Derby: a line south joined the River Trent at Swarkestone; another ran north up the Derwent valley to Little Eaton, and the third went east to join the Erewash Canal at Sandiacre. The Derby Canal did good business. The historian Charles Hadfield estimated that its total traffic in 1839 was around 200,000 tons annually. Then, within a couple of years, the three branches of the Derby Canal were duplicated by the three railways that made Derby a railway town. Somehow the Derby Canal, like its neighbour the Erewash Canal, remained independent of railway ownership, though generations of directors would have liked to unload the responsibility. In 1872, when the company offered the canal to the Midland Railway for £90,000, the railway manager, James Allport, chose not to keep an appointment with the committee. The canal branch to Little Eaton was formally abandoned in 1935. Imperial Chemical Industries raised an objection to the canal company’s proposal to abandon the Sandiacre line in 1937. Commercial traffic on the canal ended in 1945 and the following year the proprietors, anxious to avoid reopening the canal, locked the gates at Sandiacre against a commercial boat and its butty, Atlas and Vela. As a result the canal was not included in the 1948 nationalisation that formed British Transport Commission. A further protest cruise by the Inland Waterways Association in 1961 was thwarted when the canal company felled a tree across the lock at Sandiacre and chained the gates shut. The canal company obtained a warrant for abandonment in 1964, and a year later a stretch of the canal bed at Breaston was sold for one shilling for the construction of the M1 motorway. Just as the loss of the Euston Arch propelled the preservation of St Pancras Station, so the loss of the Derby Canal made local supporters of inland waterways all the more determined to preserve the Erewash Canal. And because of the success of the Erewash Canal Preservation & Development Association (ECP&DA) the eventual restoration of the Derby remains practically possible, and thanks to the foresight and acumen of the Derby & Sandiacre Canal Trust, it looks likely that it will happen. Apart from the M1 crossing, the only other section of the Derby Canal lost to redevelopment is in Derby city centre. Otherwise, though most of the waterway is dry, the land is available for restoration and protected by local-authority planning policies. Overbridges have been lowered and locks and the canal bed filled in but these changes are reversible. Crucially, the Trust was in a position to find funds for a navigable culvert under the Derby Bypass at Swarkestone in 1996. In 1998 the buried Borrowash Bottom Lock was excavated and partly restored, and since 2015 working parties have begun to return the lock and its adjacent half-mile pound to water. A length of waterway will be reinstated along the so-called “Golden Mile” at Draycott, where the Trust is restoring a group of canal cottages as a residential and commercial development. The most exciting development of all is the Derby Arm, a thirty-metre high boat lift to convey boats between the canal and the navigable River Derwent giving access to the city-centre and Silk Mill – a solution to the impracticality of restoring the original Derwent crossing at the Holmes. Comparable to the highly successful Falkirk Wheel (2002), this structure will be visible from a new visitor centre at the Derby Triangle, adjacent to Pride Park. Staring at the blocked waterway at the Sandiacre Lock Cottages, where the Derby Canal joins the Erewash Canal, it seems unlikely that boats could ever again float under the bridge and into the currently buried Bottom Lock. But they will. One day. The Waterways & Railways of the East Midlands (September 3rd-7th 2018) tour includes a visit to the Sandiacre Lock Cottages. For further details please click here. This entry was posted in Transports of Delight, Waterways & Railways of the East Midlands on July 4, 2018 by Mike Higginbottom. The largest building in Derby has stood derelict for over fifty years, and figures in the Victorian Society’s 2017 Top 10 Endangered Buildings list: http://www.victoriansociety.org.uk/news/the-great-northern-railway-warehouse-in-derby-on-its-2017-top-10-endangered. When the Great Northern Railway extended its line from Nottingham through the middle of Derby in 1878, it made two grand statements of its arrival in the headquarters town of its competitor, the Midland Railway. The most visible invasion was the elaborate pair of bridges across Friargate itself, slicing across a Georgian street. The passenger station itself, built on the viaduct alongside the bridge, was undistinguished, but the vast goods warehouse, visible from the passenger platforms, was given a dignified architectural presence by the architects Kirk and Randall. The rectangular footprint of the warehouse is extended by a triangular extension housing railway offices and a residence for the goods manager. When I first explored it in 1977 – before security fencing prevailed – it was empty and derelict but largely intact. The Derbyshire Historic Building Trust reports a site-visit in September 2016 – https://www.derbyshirehistoricbuildings.org.uk/single-post/2016/05/12/GNR-Site-Visit – and there are recent urban-explorer reports showing the current condition of the building at http://www.ukurbex.co.uk/great-northern-railway-bonded-warehouse-derby, https://www.28dayslater.co.uk/great-northern-railway-bonded-warehouse-derby-october-2014.t92710 and https://www.derelictplaces.co.uk/main/industrial-sites/26846-northern-railway-warehouse-derby.html#.We2aA7pFzIU, and a more comprehensive survey at http://derbyinpictures.com/home/friargate_station_and_goods_yard. Update: An article in the Derby Evening Telegraph, June 25th 2018, reveals a practical, appropriate proposal to use the Great Northern Warehouse: https://www.derbytelegraph.co.uk/news/derby-vintage-car-museum-friar-1714036#ICID=sharebar_twitter. Though the Great Northern Warehouse is inaccessible, the Waterways & Railways of the East Midlands (September 3rd-7th 2018) tour includes other sites on the former GNR Derby Friargate line – the Friargate Bridge and Bennerley Viaduct. For further details please click here. This entry was posted in Transports of Delight, Victorian Architecture, Waterways & Railways of the East Midlands on February 2, 2018 by Mike Higginbottom. The magnificent cast-iron railway bridge across Friargate, north of Derby city-centre, made a grand statement proclaiming the arrival of the Great Northern Railway in the home town of its rival the Midland Railway in 1878. The Midland’s monopoly of the East Midlands coal trade had been a grievance of local businesses and the new railway was welcomed, to the detriment of the local environment: the bridge cuts across Derby’s grandest Georgian street, Friargate, authorised in 1768 as a speculation by the notoriously unscrupulous banker-brothers, John and Christopher Heath. Many important personalities in late-eighteenth-century Derby had residences on Friargate, including the architect Joseph Pickford (1734-1782), whose house at 40-41 Friargate is now a museum. Though it’s commonly referred to as Friargate Bridge, there are in fact two bridges side by side accommodating pairs of tracks fanning out to the station platforms immediately beyond. To mitigate – or perhaps to pay back – for the intrusion, the GNR engineer, Richard Johnson, provided a particularly dignified design with elaborate decorative spandrels cast by the Derby ironmasters Andrew Handyside & Co, featuring the buck within the palings of a park that appears in the coat of arms of the borough, now the city, of Derby. The gesture did not go down well with some residents, one of whom described it as “meretricious decoration, which only emphasised the insult”. Passenger services between Derby and Nottingham closed in 1964 and goods services finally ceased four years later. Little remains of Friargate Station itself, which stood on a brick viaduct west of the bridge, except for the enormous goods station, now ruinous. Bud Flanagan told a BBC interviewer that seeing homeless men sleeping under the railway viaduct at Friargate gave him the idea for the 1932 song ‘Underneath the Arches’, which he co-wrote with Reg Connelly) while Bud and Chesney Allen were playing at the nearby Hippodrome Theatre. It’s ironic that the bridge, like the viaduct at Monsal Dale, has become a conservation issue. Derby City Council, which bought it from British Railways for £1, has been vexed for years finding a practical solution to safeguard its future. It was listed Grade II in 1974, oddly suggesting a lesser value than the other surviving structure on the line, Bennerley Viaduct (Grade II*). At present a species of hairnet protects the cast ironwork from pigeons, and also creates difficulties for photographers. Beside the line of the former railway viaduct on the north side of Friargate remains one of the oddest survivals of Derby’s transport history, the 4ft-guage rails and setts of the horse-tram depot of the Derby Tramways Co, which were in use from 1890 until the route was electrified in 1907. The Friargate Bridge features in the Waterways & Railways of the East Midlands (September 3rd-7th 2018) tour. For further details please click here. This entry was posted in Transports of Delight, Waterways & Railways of the East Midlands on February 2, 2017 by Mike Higginbottom. The River Erewash is not widely known (and often wrongly pronounced – three syllables, “Er-e-wash”). Indeed, it’s an unremarkable river, meandering between its wide, low-lying valley sides, bordering Derbyshire and Nottinghamshire. It gives its name to the Erewash Canal and is the location for many of D H Lawrence’s stories, including much of the novel The Rainbow (1915). Eastwood, the town of Lawrence’s birth, claims to be the “birthplace of the Midland Railway”, on the strength of a meeting at the Sun Inn, which led to the formation of the Midland Counties Railway in 1832. In fact the railway didn’t reach the valley until the late 1840s, after which the local mine-owners deserted the canals to send their coal by rail to Leicestershire and London. This was the heartland of the Midland Railway, until its rival the Great Northern Railway, egged on by local businessmen anxious to break the Midland’s monopoly, chose to compete by building a line west from Nottingham across the southern edge of the coalfield and on to Derby and beyond. This Derbyshire & Staffordshire Extension, authorised by Parliament in 1872, spawned numerous branches to local collieries, and was intended also connect with the North Staffordshire Railway to take some of the Midland’s Burton beer traffic. Little survives of the route, which closed in the 1960s, except for the remarkable Bennerley Viaduct, which strides across the Erewash flood-plain east of Ilkeston, opened in 1878. The wrought-iron lattice construction, designed by the GNR engineer, Richard Johnson, was necessary because the floor of the Erewash valley was already riddled with coal workings. A brick-arch viaduct would have been vulnerable to subsidence; iron legs could be jacked up if necessary. The structure survives because wrought iron cannot be cut by an oxy-acetylene torch, and dismantling it piece-by-piece proved unduly expensive. It’s a unique survivor, now listed Grade II*: two taller and more spectacular viaducts, at Crumlin on the Taff Vale Railway near Caerphilly (1857, 200 feet high) and Belah near Kirkby Stephen in Cumbria (1860, 196 feet high) were demolished in 1965 and 1962 respectively. Belah Viaduct, designed by Thomas Bouch who went on to build the first Tay Bridge, had the same lattice construction as Bennerley; Crumlin, like the surviving Meldon Viaduct near Okehampton, Devon, had distinctive Warren Trusses. Bennerley Viaduct belongs to Sustrans, and may one day form part of the National Cycle Network. For the present, it’s remarkably difficult to approach or see. Indeed, the best view is from passing trains (on the left-hand side heading south) between Langley Mill and Nottingham. A guided visit to Bennerley Viaduct is included in the Waterways & Railways of the East Midlands (September 3rd-7th 2018) tour. For further details please click here. This entry was posted in Transports of Delight, Waterways & Railways of the East Midlands on January 23, 2017 by Mike Higginbottom.